Tyler Stevens and Brian Haggar hope to tap Stevens’ California background to draw even more apartment buyers from California. If you are a Denver-based apartment broker, you don’t need to be a Mommas and the Poppas fan to be tuned in to the importance of California investors. 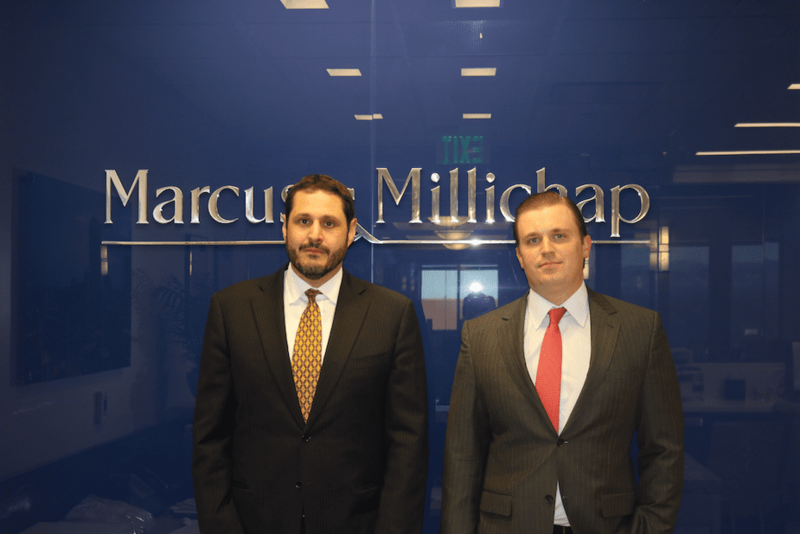 “I think last year 26 percent of our deals from our office were from California,” said Tyler Stevens, who recently joined the Denver office of Marcus & Millichap as Brian E. Haggar’s teammate. Stevens has a Rolodex of thousands of investors from Southern and Northern California. Stevens, who sold $300 million in commercial properties in 2015, the last full year he spent working as a broker in the Golden State, expects to trap his California contacts to invest in Denver area multifamily communities. He estimates that 75 percent of his California contacts, including a number of family offices, have never invested in Denver before. That could mean new investment blood flowing into the Denver multifamily market. Stevens, who grew up in Los Angeles and went to college in San Diego, has brokerage in his blood. “My dad (Craig Stevens) is still a broker and has been one for about 45 years,” Stevens said. “I remember cutting out newspaper articles and listening to him make calls all the way back before I was even in high school,” Stevens said. “I graduated with a degree in economics, but I always knew my focus was going to be on selling commercial real estate,” Stevens said. “I did a number of internships in commercial real estate when I was in college,” he said. After six years as a successful broker in California, he decided to move to Colorado. But like legions of other millennials, he responded to the siren call of Colorado’s lifestyle. “I like to fish and snowboard and hike and all of that stuff, and I wanted to be a little closer to all of that,” Stevens told me. And as a bonus, despite the Denver area’s rapidly appreciating housing market, it is still far less expensive than owning a home in Southern or Northern California, he noted. Initially, he and his father bought a 12-unit apartment building in Capitol Hill, but he always knew he wanted to return to brokerage. “I don’t want that to sound like that, by investing in apartments, it is a conflict of interest” because he and Haggar, a 16-year veteran of commercial real estate in Denver, are focusing on selling apartment communities with 20-plus units. In 2015, Stevens sold one mixed-use community in San Francisco for $115 million and another property for $128 million. But, initially, he and Haggar are not focusing on the big game. He is realistic to know who the big players are in Denver as far as institutional sales and there is no way a newcomer can immediately go toe-to-toe with them and hope to win. “Eventually, I want to return to institutional sales,” but initially he expects the “sweet spot” for his buyers will be in the $5 million to $20 million price range. 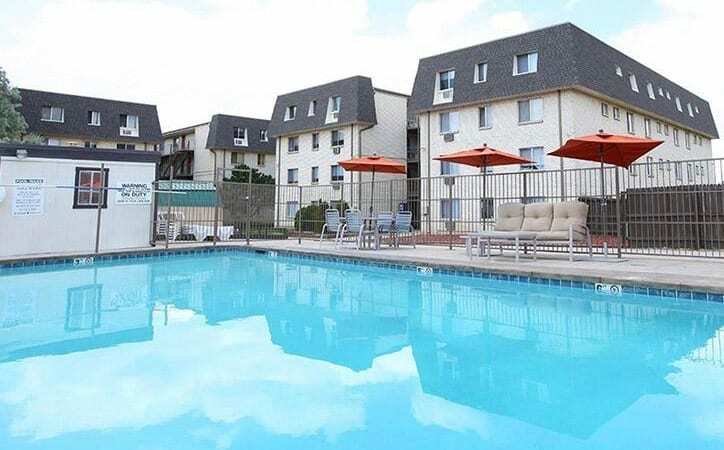 Indeed, one of the bigger deals that Haggar recently brokered was the $12.18 million sale of the 168-unit Bridge Square Apartments in Brighton. A California buyer bought the property at an 8.01 percent cap rate. Brian Haggar sold the Bridge Square Apartments in Brighton to a California buyer. Despite the rapid run-up in prices of apartment communities, he said there are still a lot of California buyers with big appetites for Denver properties. “There’s a very large pool of investors in California who are chasing yields and are tired of paying 3.5 and 4 percent caps in California,” he said. “They can come to Denver, a city that is getting a lot of great press, and buy things at 100 to 200 basis points cheaper on their yields going forward,” he said. Talking to Stevens is like talking to a broker who has been living and breathing the Denver multifamily market for years. 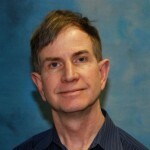 “I pride myself on really understanding and being knowledgeable about a market,” he said. For example, when I asked him if his investors want to buy value-add deals, he almost chuckled. “Of course. Everyone wants value-add opportunities,” he said, with no hesitation. And, with a couple of quarters of slowing or slightly falling rental rates, prospective buyers are keeping their powder dry and waiting for the right moment to pull the trigger, according to Stevens. “Sellers are still pricing their properties to perfection. They are pricing properties still in lease-up as if they were stabilized,” he said. The tension between buyers and sellers likely will result in a bit of cooling over the next 18 months, he said. “But if you look at the long-term market fundamentals, Denver has less than a 3 percent unemployment, and even with the recent rise in rents, Denver is still 25 percent to 35 percent less expensive than renting in Los Angeles or San Francisco,” Stevens said. For Haggar, Stevens is the perfect teammate. “He is my first true, equal partner,” the 48-year-old Haggar said. “I liked it that his father was a multifamily broker in California, so he literally grew up in the business,” Haggar said. He is convinced that Stevens’ California connections will pay off. “He’s got a really good list of private clients who are positioned to buy the 50- to 200-unit multifamily buildings we are focusing on,” Haggar said. 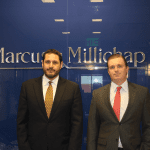 “I’ve been around long enough, 10 years at Fuller and six years at Marcus & Millichap, that I am pretty well known,” he said. “Tyler has a real good skill set and already has a really good understanding of the Denver market.